Hi there! I’m so excited to share a review for a new release from Amelia Bishop. 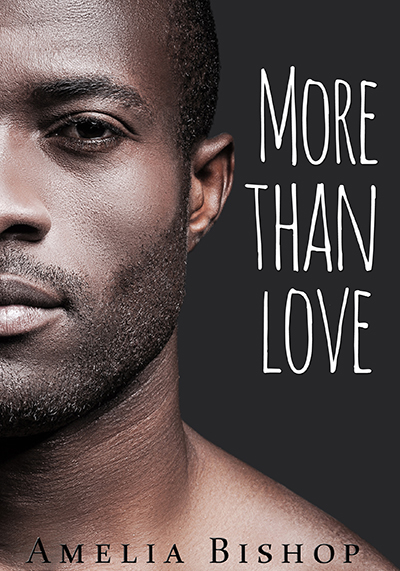 MORE THAN LOVE is a contemporary M/M second-chance romance between a small-town cop and the one who got away fifteen years ago. Catch my review, the yummy excerpt and enter to win your own ebook below. I think the last line of the blurb for this books speaks absolute volumes about the story. Dan and Ian had a short love affair in college that ended when Ian took a job in Chicago and moved to take it. Dan felt abandoned and vulnerable–especially as he was still closeted. Still, he never forgot Ian and the closeness they shared. Fifteen years pass. Dan is a police sergeant in the same town where he grew up. He’s out, and lonely. He’s had some rather serious relationships over the years, but none quite matches the intensity of his experiences with Ian. He often flips through Ian’s social media in order to keep connected, without giving his interest away. When a particular trigger catches him unawares, Dan reaches out and learns that Ian’s moving back to their college town–where Dan lives. Ian asks for a ride from the airport, and Dan’s confused but willing. They strike a spark, and it seems things will be going along as if they never left off…except. Except Dan’s a suspicious cat. He’s never sure that he’s got the right read on things, and his cop’s intuition continues to batter at his mind as he watches Ian–who has a shady direct sales business–outspend any reason. I’m not saying that Dan’s suspicions are unwarranted, it’s just that he can’t ever speak about them and lets them build up to a point that he reads as almost paranoid. Honestly, I was more than tempted to read ahead, because I was getting FREAKED OUT, for real. I’m not going to assure you that everything was just a misunderstanding, because that’s all shades of gray, to be honest. Ian is a guy after a quick buck and he does get mixed up in somethings he should not. Does that mean the end for Dan and Ian? Uh…sorta. For a bit. Dan has some real growing to do, and being honest is one of the steps he takes. I loved how passionate he was, and also Ian–who is NOT a bad guy–has so much love and compassion. These guys never really wanted to step away all those years ago, and coming together now is so right and sweet and terrifying all at once. There’s a lot of sweetness in the book and that’s what had me so nervous. You never want to watch good people get hurt, and–like Dan–I suspected severe hurt on the horizon. I do appreciate the author’s inclusion of a black MC, and I really enjoyed the flipped stereotype: Dan is a black cop suspecting his white boyfriend of criminal activity. I just wished I had a little more ethnicity to latch onto. Dan could have easily been a white guy. Apart from the cover photo if I hadn’t been told he was black (on page 42) I would have never once suspected it. I’m not about stereotypes at all, I just want to have a better sense of the black community when I read about about black people. I have tons of black friends and I know that there are some specific community issues that could have been highlighted here to engage readers in a way that surpassed the romance. That said, it’s an interesting read, low angst, high suspense, with a second chance romance that really becomes a “three time’s the charm” situation. Interested? You can find MORE THAN LOVE on Goodreads, Amazon, and Barnes & Noble. Clink on this Rafflecopter giveaway link for your chance to win an ebook of MORE THAN LOVE. 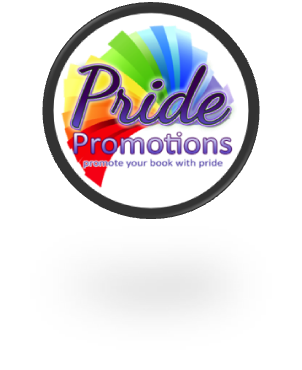 You can catch Amelia online on her website, Facebook, twitter, Pinterest, Goodreads, and sign up for her newsletter. I agree that cultural details would have been meaningful but even the existence of a black protagonist is significant. A mixed race couple, either straight or gay, is a big deal, too. Shouldn’t be. But it is. The dearth of ethnic variety in all media has obviously been a big topic of late. Agreed. I tend to request books that have diversity for that reason. I don’t want to knock the book, but I want the characters to speak to me, share with me their community and all it’s hang-up, and I felt this one was a bit lacking–just a bit, though. I love learning about new cultures, or new aspects of cultures I thought I knew–case in point, I read a story (BOY 21) a few years ago that takes place in the Philly burbs and the characters (who are mostly low-income and mixed white and black) live in fear of an Irish mafia and a Black gang there. I had never suspected such a subculture, and really enjoyed feeling a part of those communities for a little while.